One of the most remarkable aspects of living in a large multicultural city, such as London, is the diversity of foods on offer. Supermarkets will tailor their wares depending on demographics and this makes for some interesting grocery shopping from one district to the next. In London you can find foods from all corners of the world and everything in between. Should that not be enough, however, the abundant Borough market in the city is on hand with anything you may be missing – it is a gem and a must see destination. Funnily enough, tourists tend to visit more than locals. Go figure. Still, we are truly lucky to be living in this melting pot of cultures and colours. Diversity is the key to acceptance, tolerance, interaction as well as education of the palate. No where is this more noticeable than when travelling. The homogenous output of dishes and ingredients as well as the physical similarity of inhabitants in less diverse societies are stark reminders of how far we’ve come with integration in this country. Let’s celebrate our differences and share ways in which to heal our bodies and minds, whether through Ayurveda, Chinese medicine, acupuncture, homeopathy, Buddhist meditation, yoga, stillness, being kind and so on. We can all learn from each other. Which leads me to the humble mung bean. Used in Ayurvedic medicine and a staple in Indian cooking, it is considered a cleansing bean which can rid the body of toxins and bacteria. 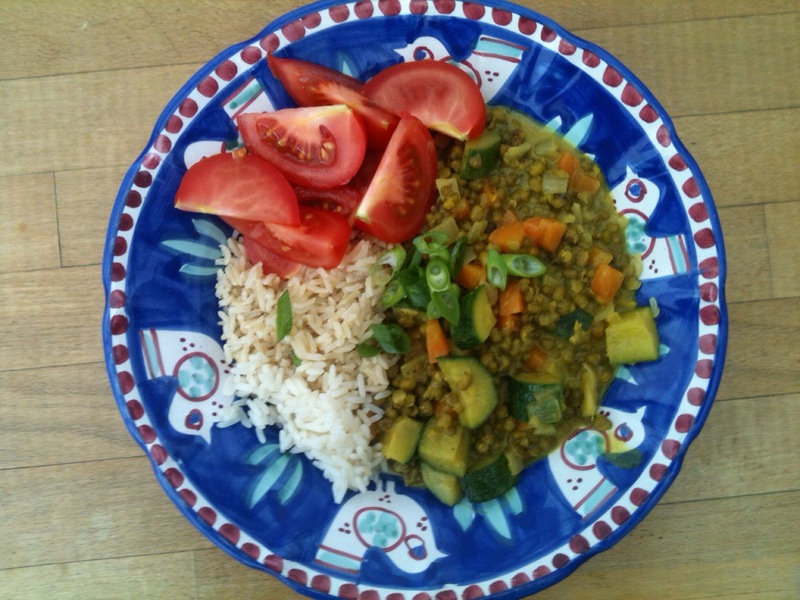 Folks suffering from gastric problems and irritable bowl syndrome could try to incorporate mung beans into their diet. They are high in potassium and contain vitamins A, C and E, folacin, phosphorous, magnesium, iron and calcium. They are also a source of phytoestrogens. 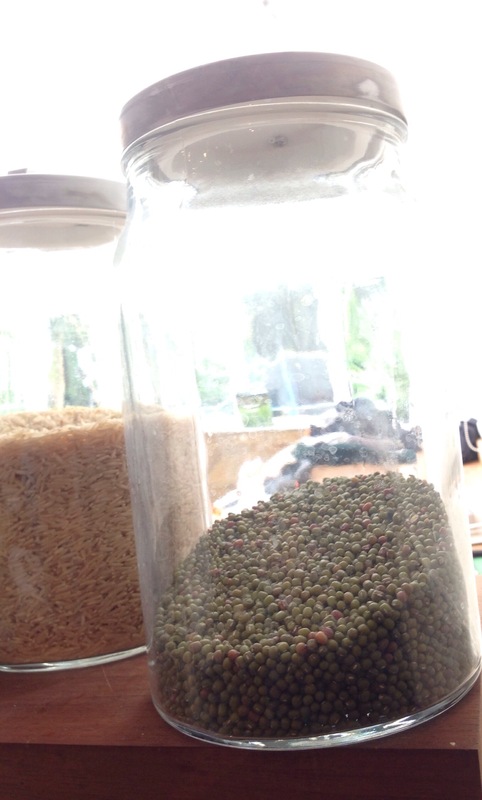 Todays recipe was inspired by my glass jar of dried mung beans that has been sitting on the kitchen counter for quite some time. I bought the beans in an Indian convenience store last year as my mother used to cook mung bean casseroles when I was a child. A spontaneous purchase for sure but my intention was to replicate her recipe and last night’s constant downpour was the catalyst I needed. Mung bean casserole it was. I can highly recommend this dish for anyone wanting a comforting veggie dish when all the elements are against you. It was super delicious and it didn’t leave me feeling too full or bloated either.